Tony Perry, “Syrian immigrant, 24, admits links to Islamic State and pleads guilty to lying to FBI,” Los Angeles Times, October 29, 2015, http://www.latimes.com/local/lanow/la-me-ln-islamic-state-links-suspect-guilty-20151029-story.html. Kodaimati is believed to have operated out of Syria at some point between between 2012 and early 2015. He is accused of having worked at the Nusra Front’s sharia court, which uses Islamic law in all legal proceedings. He is also accused of having served as a mediator between the Nusra Front and rival group ISIS.Kristina Davis, “San Diegan accused of hiding ISIS links,” San Diego Union Tribune, April 23, 2015, http://www.utsandiego.com/news/2015/apr/23/syrian-terror-isis-arrested-saeed/. The federal complaint alleged that Kodaimati made false statements about his activities and associations in Syria during an interview at the U.S. embassy in Turkey in March 2015. According to the complaint, Kodaimati falsely claimed that he had never been involved in any fighting with the Nusra Front,“San Diego Man Arrested and Charged With Making False Statements in an International Terrorism Investigation,” United States Department of Justice, April 23, 2015, http://www.justice.gov/opa/pr/san-diego-man-arrested-and-charged-making-false-statements-international-terrorism. that he had never used his weapon (though he admitted to owning one), and that he did not know any ISIS members.“San Diego Man Arrested and Charged With Making False Statements in an International Terrorism Investigation,” United States Department of Justice, April 23, 2015, http://www.justice.gov/opa/pr/san-diego-man-arrested-and-charged-making-false-statements-international-terrorism. 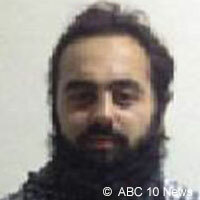 Syrian-born Mohamad Saeed Kodaimati is an American citizen and resident of California.